I have an issue with saving a copy of a file from the iPad version to be edited on the Mac version of Affinity Photo. From the iPad version I use "Save A Copy" and then click save; it does not seem to matter if I select "Save history". I then save it to a location on my iCloud Drive. Does anyone have any suggestions on what I might try? Affinity Photo for iPad uses is on version 1.6 and uses a more advanced version of our native file format (while the desktop version in on v1.5). 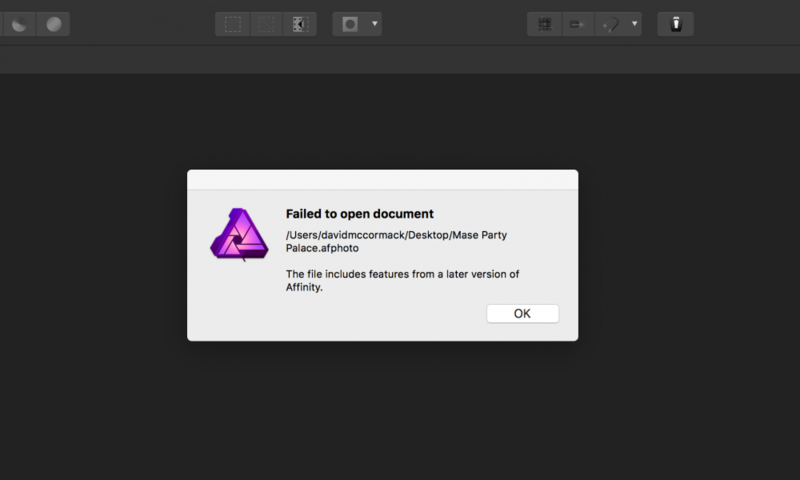 If you downoad and install the latest Affinity Photo Beta for Mac (1.6) from here you should be able to open files created in the iPad version. Alternatively just wait for the next desktop update (no eta yet).